Join us in the pursuit of what you love. American Express has been recognized and awarded “Aon Hewitt Best Employer Malaysia” for the sixth consecutive time and also received “Best Employer Malaysia 2016 for Women”. Join us and you’ll soon see why. At American Express, we believe a career should be the pursuit of what you love, a way of making things better in the world around you and the foundation for a successful future. We need you because you are not afraid of embracing challenges and you share an admiration for the values on which this company was built – trust, service, security, integrity, quality, good citizenship and respect. As part of the world’s largest card issuer and a global services company that operates in 30 countries, with over 62,500 employees, you will play a key role in our continual effort to deliver industry-leading benefits, access to unique experiences, business-building insights and global customer care. 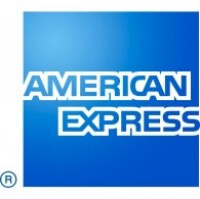 American Express enables the career journeys of our employees through an environment that allows them the opportunity to unleash their maximum potential. We offer richly diverse experiences with global exposure and opportunities including leadership training, employee interest networks, continuing education assistance and access to mentoring by a diverse leadership team.